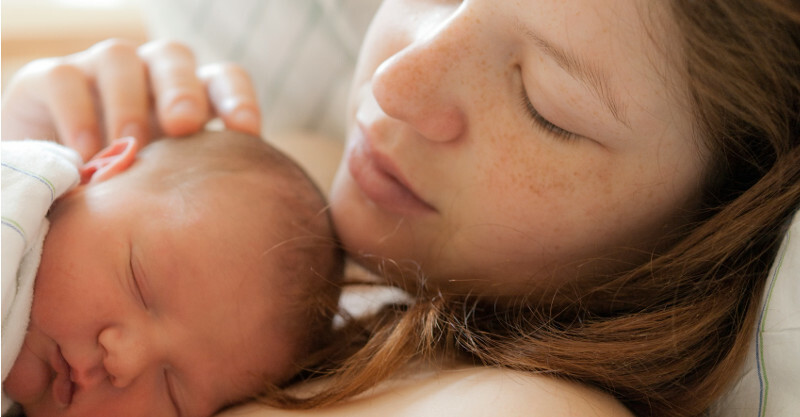 Just like the name sounds, a home birth is a birth that takes place in a home environment rather than a hospital or birth centre, and it’s the birth choice for around 1,000 women in Australia each year. If your pregnancy is considered low-risk, and a home birth is something you want to have, then this can be your birth choice too. You can choose to hire a private midwife, who works for herself rather than a hospital, or you may be able to access a supported home birth through your local public hospital, which would be covered, or partly covered by Medicare. However, if your pregnancy is considered high-risk, your doctor may recommend that you birth in the hospital, so you can be near the extra medical support it offers. For example, if you are carrying multiples, your baby is breech, or if you have had a previous caesarean, medical intervention may be required to help you and your baby. If you’re planning on having a home birth, be sure to tell your GP and other caregivers as soon as your pregnancy is confirmed, so you can receive all the information needed to help you make a safe decision for you and your baby. You should also check with your local hospitals to see if they provide home births as an option for you, and make contact with an organisation like The Australian College of Midwives if you’d like more information and support on the subject. Lastly, consider booking into your local hospital as a back up if your pregnancy risk changes along the way or if you need to be transferred to there during your labour. When it comes to choosing a private midwife to support you during your home birth, make sure she is registered with the Australian Health Practitioner Regulation Agency, and inquire about the level of insurance she has. Many private midwives can also be an Endorsed Midwife, which means she meets specific professional standards and can work collaboratively with your GP and hospital during your care. Additionally, it can mean Medicare covers some of her services. In many parts of the world, home births are considered the norm and have been associated with several positive outcomes, such as lower intervention rates (like using pain relief and assisted birth) and better breastfeeding beginnings. In fact, most research from around the world suggests that home births for low-risk women are just as safe as hospital births. In countries like the U.K. and the Netherlands, home births are a mainstream birth choice (with home births accounting for 25 percent of births in the latter). Here in Australia, authorities remain divided as to whether home births should be integrated into our overall health care system for pregnant women, although in some states in Australia, home births are supported by the public health system and covered by Medicare for some women with low-risk pregnancies. Unfortunately, the lack of access to home births across Australia (because of the costs involved with hiring a private midwife) has led to some women choosing to ‘free-birth’ their babies at home, which means there is no midwife or health professional present at the birth. If you have your baby at home, you will need to make sure your newborn gets the right medical care following the birth, which may be provided by your private midwife initially. Your newborn will need to be checked by a doctor in the first week after birth, but will also need to be offered the usual tests and treatments after birth like Vitamin K and the Newborn Screening Test. You may be able to use a public hospital for these things, so check with your midwife or GP about your options. If your private midwife is providing care for you and your baby after the birth, she will be able to check on your recovery and assist you with any breastfeeding or baby care issues. If she isn’t providing this care, you will need to make appointments with your local hospital or GP to ensure your receive follow-up care after the birth. There is a school of thought that birth isn’t a medical process and doesn’t need to take place in a medical establishment like a hospital. Research from around the world suggests that giving birth at home comes with no significant safety issues for a woman with a low-risk pregnancy, provided a professional midwife supports her. In fact, you stand to gain many other benefits from choosing to birth your baby in your home environment. However, you need to research the risks involved (even if they are considered unlikely) and discuss your options with your GP or midwife to ascertain whether this birth choice is suited to your circumstances.